Call us at 1-855-218-2261 or click below to request an in-home inspection in Stroudsburg, Easton, Allentown and nearby, and we will provide you with a free estimate to seal and insulate your basement. Get a FREE Basement Insulation Quote! If you want to make more and better use of your basement space, insulation upgrades should be a top priority. Burke Construction has the best basement insulation products and the expertise to install them. Call us or fill out our online form to request a free estimate or to schedule your home energy evaluation. 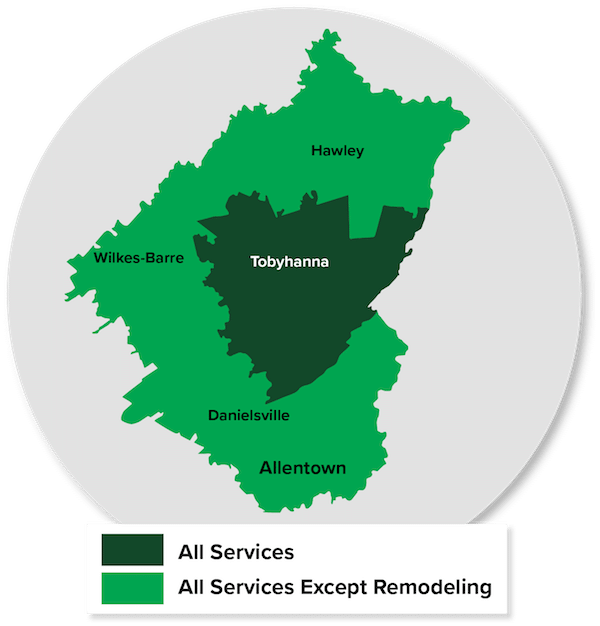 We are your basement insulation expert serving Bethlehem, East Stroudsburg, Pen Argyl, Bangor, Wind Gap, Pocono Pines, Bartonsville and surrounding areas.